The Victorian Renewable Energy Auction Scheme (VREAS) makes community engagement an eligibility and evaluation criteria for funding, with a benefit-sharing program a first in State Government regulation of renewable energy projects. Solar dominated global investment in power generation in 2017. In June 2016, the Victorian Government committed to renewable energy targets for the State. 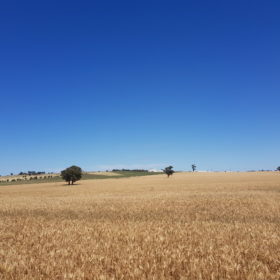 These targets passed into law in October, with the Victorian Renewable Energy Auction Scheme (VREAS) established as a mechanism to reach the targets. Last month, the reverse auction opened on the Tender Victoria website and looks to see 650 MW of renewable energy projects, including 100 MW set aside exclusively for PV power plant projects. In addition to mandatory planning permit requirements, projects will have to satisfy 13 key eligibility criteria. One of these criteria is demonstrating inclusive community engagement, including a benefit sharing program developed in collaboration with community, and letters of support from the community. Projects will also be evaluated throughout the planning, construction and operating phases by an independent committee. Benefit sharing requirements through VREAS are a first for state governments in regulating renewable energy projects. When done in-line with the scale of the project, benefit sharing can provide value through a fair process and a fair outcome. Katrina Hermann, Manager of the Victorian Renewable Energy Target Implementation told the industry at a briefing in November, “There’s clear evidence that if done correctly benefit sharing can help build support for your project – it’s about being a good neighbour”. To support VREAS, the Department of Environment, Land, Water and Planning (DELWP) reports that it spent nearly 18 months producing an industry guide for community engagement, titled Community Engagement and Benefit Sharing in Renewable Energy Development. The guide notes that community engagement and benefit sharing programs have historically been inconsistent in the renewable sector, with varying degrees of genuine commitment to community participation. To be eligible for VREAS, developers must demonstrate that they have understood community concerns and aspirations, incorporated these concerns into project decisions, and communicated these decisions locally. However, the guide intends to provide flexibility, rather than mandate an approach to engagement. “We want to provide a range of tools for developers to consider and we want to make sure developers have undertaken engagement in collaboration with their community,” Hermann said. To be eligible for VREAS, developers will need to provide five key documents: a social risk analysis, a community engagement strategy; a benefit sharing program; a reporting, monitoring and evaluation plan; and letters of support from the community. Details are available in the guide, with specific tips for developing a community engagement strategy for concentrated solar energy projects. “The Victorian Government is proud the guide has set a high benchmark and showcases best practice community engagement for the renewable energy industry,” DELWP said.